Whether it is a climb up an escarpment, a ride along a waterfront trail, or a trek downhill through the woods, recreational cycling in Ontario is vibrant, growing and the best way to see the province. Riding a bike is also the main and sole means of transportation for many living in the major cities. Although a cultural shift has happened in many communities and a number of politicians get it, there still remains a significant lack of biking infrastructure and bike laws that promote safe passage. In addition to commuting to his Toronto office, Patrick Brown enjoys recreational rides throughout Ontario, Europe and the United States. At home, he is active in representing injured cyclists and their families across the province and has been an involved cycling activist seeking to enhance the rights of cyclists. Read his answers to Bike Law Ontario FAQs. Due to the alarming number of cycling deaths in Ontario, Patrick and fellow lawyer Albert Koehl initiated and were pro bono counsel in the 2010 Ontario Coroners’ Year Review into Cycling Deaths from 2006 to 2010. He and Albert were awarded the prestigious Champion of the Year Award by the Toronto Centre for Active Transportation for their representation of the cycling community. The Review led to a comprehensive list of recommendations to reduce death and provide safe passage to cyclists. Patrick is one of the founding members of the Toronto Bike Union (now CycleToronto), and is a former director. He is a proud contributor to Advocacy Respect for Cyclists [ARC] who have defended cyclist rights since 1996. He and his firm, McLeish Orlando LLP hold the annual Helmets on Kids Campaign in Toronto and sponsor CycleToronto’s annual “Get Lit” program and the City’s Bike Month. In 2013, the firm was awarded the Bicycle Friendly Business Award by the City for promoting cycling in and outside the office. Patrick is the past President of the Ontario Trial Lawyers Association and is one of the few lawyers in the province who have been certified as a Specialist in Civil Litigation and also voted into BestLawyers Canada and LEXPERT by his peers. 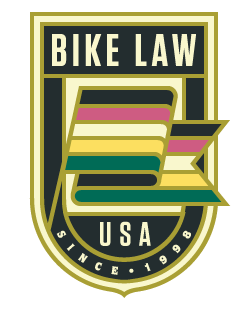 Patrick has chosen to join the Bike Law Network because of its focus on client and cause advocacy. If you have been injured in an Ontario/Canada bike accident and would like to discuss your case with a lawyer who gets cycling, Patrick welcomes your call for a free consultation. He can be reached at [email protected] and 1-866-685-3311.